Vitamins & MineralsNOW Foods Zinc Gluconate 50mg - 100 tabl. 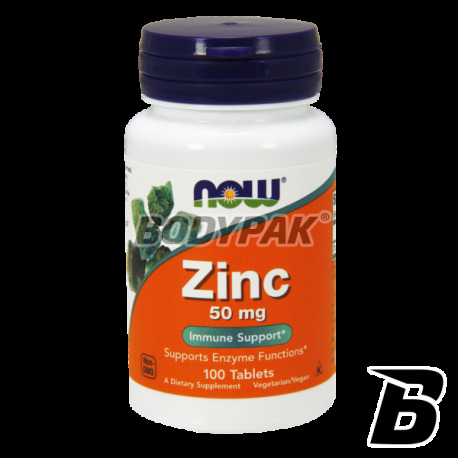 NOW Foods Zinc Gluconate 50mg to 50mg of zinc until the tablet! Zinc Gluconate is a product containing zinc. 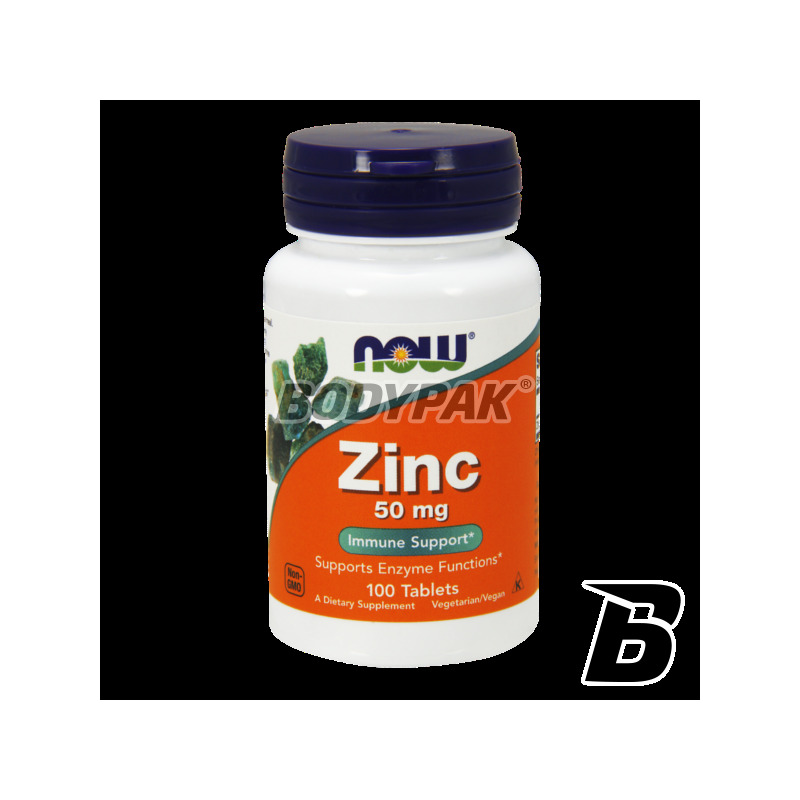 Zinc is essential for the synthesis of proteins and nucleic acids, direct myocardial contractility, is involved in the formation of insulin. It plays an important role in maintaining acid - base balance. It ensures proper function of the prostate and reproductive organs. Studies have shown that zinc has a significant effect on brain function. It is necessary to maintain optimal levels of vitamin A in the blood and consumption by tissues. The beneficial effect of zinc on organisms is, beyond the general improvement of metabolism, to accelerate wound healing, especially skin defects, improving mental performance and protection against macular degeneration. Makes it easier to get rid of the white spots on the nails, restores the taste sensation. It keeps the skin's resistance to infections as well as participates in the detoxification of alcohol in the liver. Preferably, the growth process. Zinc improves the efficiency of the intellectual and the elderly prevents the development of senile dementia.